It's important to have your digital and print communications working together. Don’t listen to those “all or nothing” folks out there. You’ll be hard pressed to find a customer who prefers to receive all forms of communication digitally. Heck, maybe you’ll find one, however, everyone is different and that’s what you need to plan for. While over the past few years you've probably experienced a shift towards digital, that doesn't mean print should be phased out altogether. 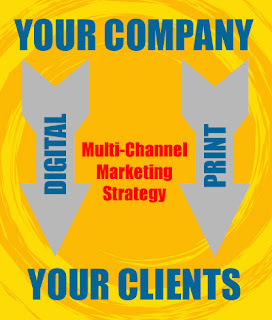 There are many positive effects of having printed materials working with your digital space in your marketing efforts. 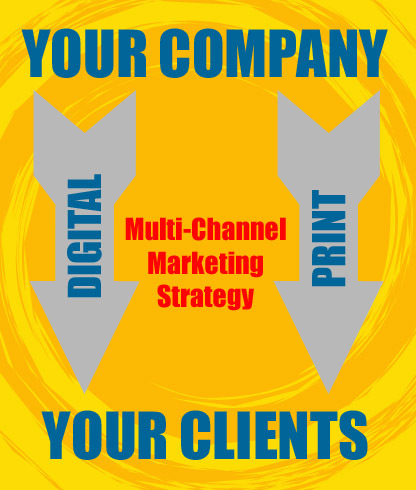 Multi-channel marketing is the most effective approach because people have different communication preferences and require multiple touches to "connect" with your message. One benefit of using printed materials in your marketing mix is that a physical marketing piece doesn't change. Something you post on social media will disappear into the abyss but that printed piece will stay there as a constant reminder. While it’s still important to use social media, you just have to shift your focus a little bit. You can’t expect to use print and digital in similar ways and see results. Utilizing their unique features in the right way will help you to build your brand. Because print is tangible, you have that "touch" aspect that you can’t take lightly. This is a powerful part of your marketing where you shouldn't take the cheap option. Make sure the right amount of time is spent on design, paper and how it’s printed. Creating a quality printed piece will lend more credibility to your business.